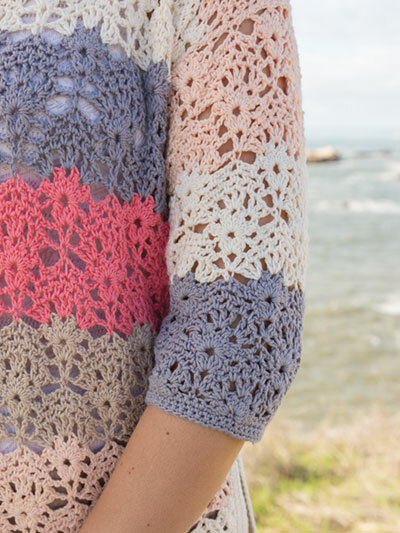 Bamboo yarn is the perfect match for the elegance and comfort of this feminine lace pullover. 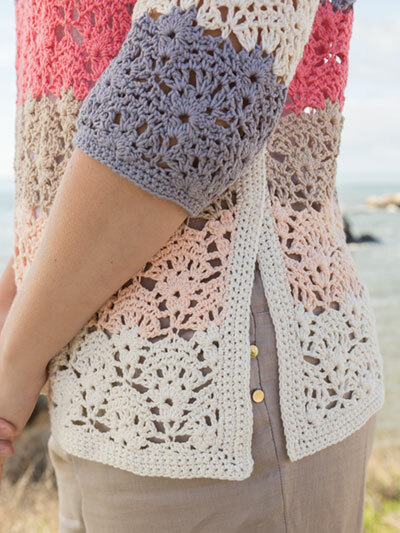 An overall shell pattern is set off by color bands, giving you the opportunity to explore how color can subtly impact a stitch pattern. Crochet with DK-weight Premier Yarns Bamboo Fair: 2 (2, 3, 3) balls ivory, 2 (2, 2, 2) balls apricot, 1 (1, 2, 2) ball(s) hazelnut, 1 (1, 1, 1) ball coral, and 1 (1, 2, 2) ball(s) dove. Pattern uses a U.S. size G/6/4mm hook. 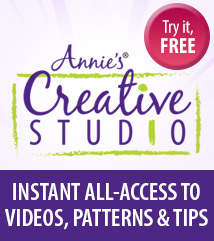 Design by Robyn Chachula for Annie's Signature Designs. Bust: 38 (44, 50, 56)"
Length: 24 1/2 (24 1/2, 26, 26)"
Sleeve Circumference: 14 1/4 (14 1/4, 17 1/4, 17 1/4)"